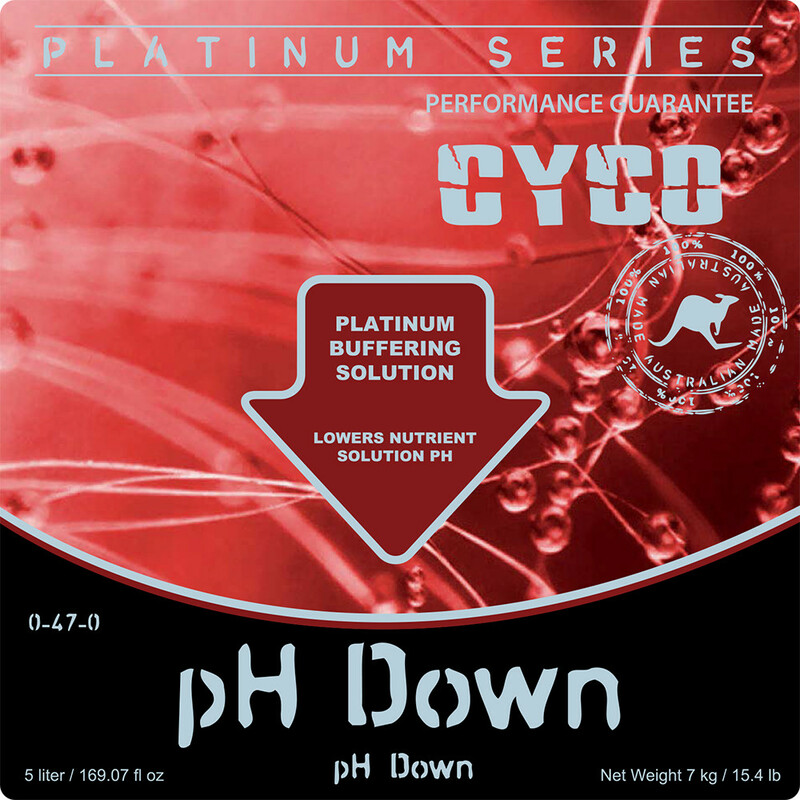 Cyco pH Down – lowers the total pH value of the made nutrient solution. 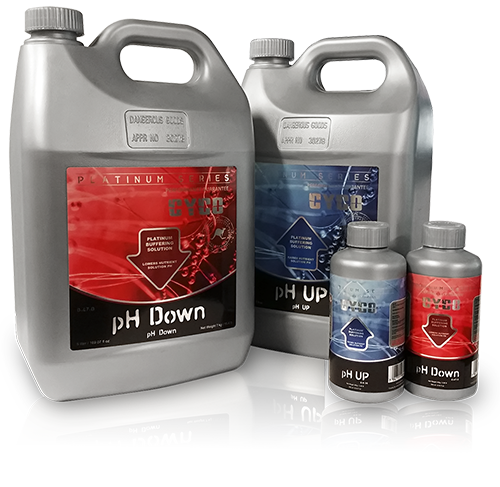 Available in 250ml, 500ml 1 & 5 Liter containers. 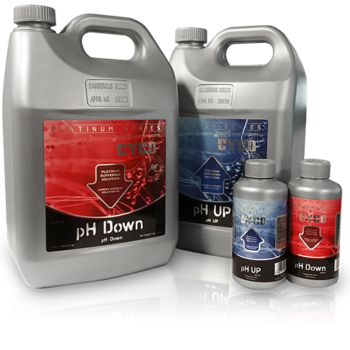 Use sparingly – add drops to nutrient solution a little at a time, continue to test pH levels. will vary depending on the nutrient strength and the purity of your water. 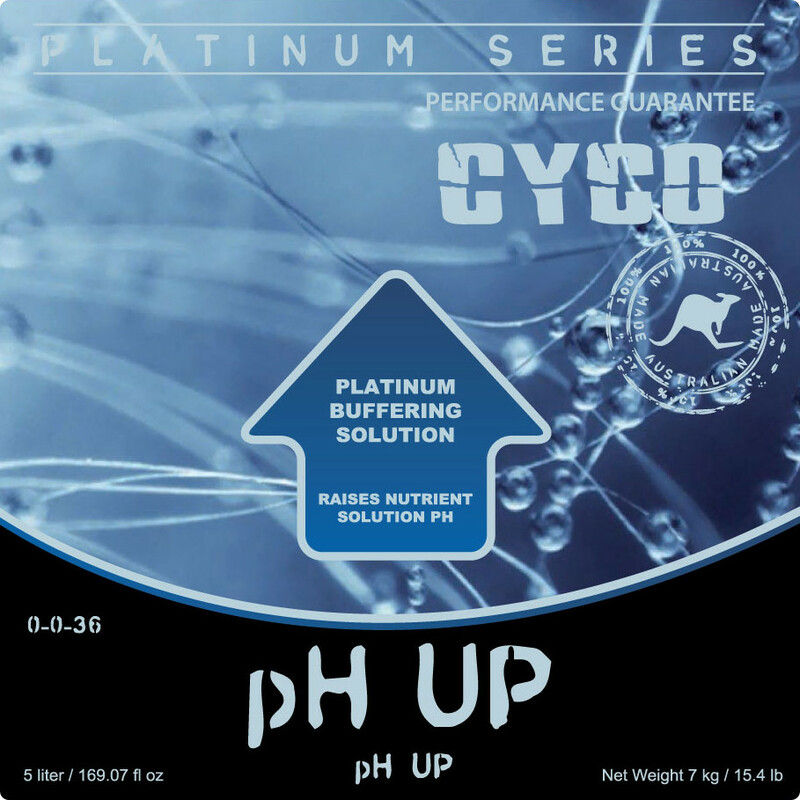 This product raises nutrient pH. 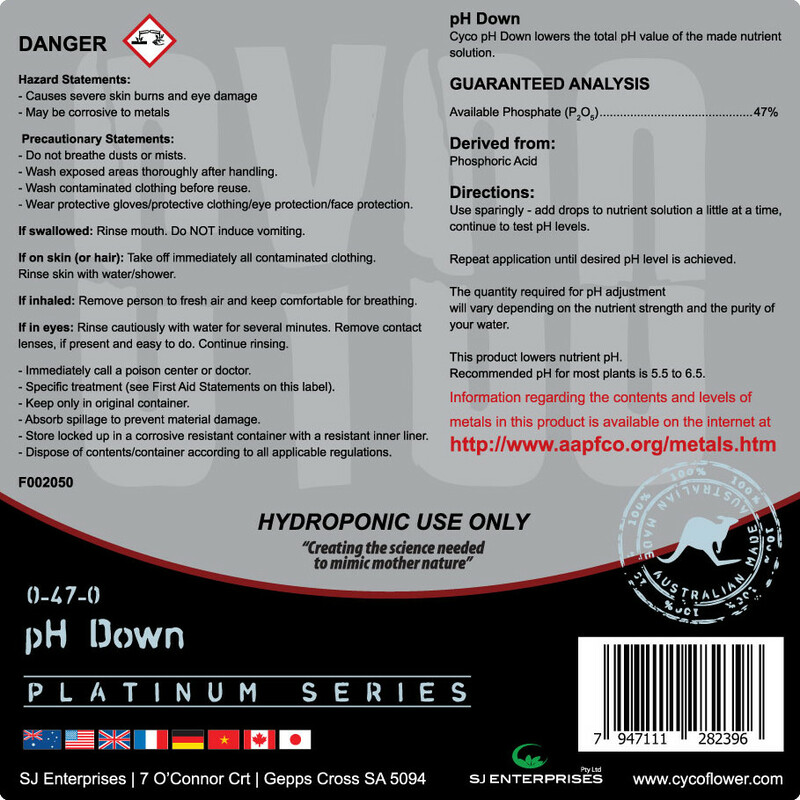 Recommended pH for most plants is 5.5 to 6.5. 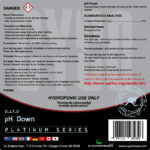 This product lowers nutrient pH. Recommended pH for most plants is 5.5 to 6.5. 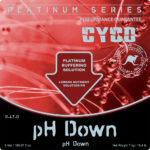 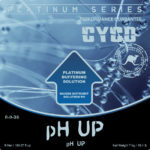 Description: Cyco pH Up & Down both raise & lower the total pH value of the made nutrient solution.